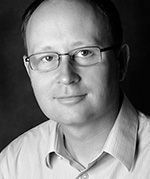 Robert Edwards creates innovate visual solutions for businesses struggling to communicate with their audience. I specialise in producing images for small to large business and multi-national corporations who need a photographer they can trust to deliver results working calmly under pressure, within budget and on time. 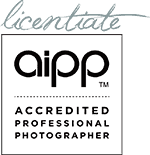 I’m an Accredited Professional Photographer and Honorary Fellow of the Australian Institute of Professional Photography, the largest association of its type in Australasia. Based in Sydney I work with clients across the globe. As a specialist in photographing “real people” my quirky sense of humour connects with subjects from all walks of life. Having photographed leaders in business, politics, industry and celebrities I have the diplomacy and demeanour to craft images that communicate my clients’ message. Take advantage of over 15 years experience working with corporate CEOs, chairman, senior executives, managers, boards, local councils, State and Federal Government agencies, and Not-For-Profits (NFP). This includes corporate headshots and executive portraits, Google virtual tours, videos, industry, building and construction photography for use in annual reports, prospectus, brochures, websites, advertising, public relations (PR), internal communications and media.